All traces of the once shining realm of Ajanel are about to be annihilated forever, until the kingdom’s last guardian blade is found in the hands of a sixteen-year-old girl. When an idealistic boy steals a celestium sword and gives it to Jessica Halloran, he doesn’t realize he has broken a centuries-old bloodsworn truce between Aventar’s most ancient and ruthless guilds. Mercenaries, assassins and hideous creatures emerge from every depraved and unclean place across the corrupted land seeking to claim the power of Dawnsong for themselves. The long dormant champion skyblade’s enchantments inexplicably respond to the girl, inspiring one guardian of the truce to intercede to protect Jessica’s life. The Vicereine of Kulnas knows such an act is an open declaration of war that threatens to plunge the seven kingdoms into chaos, but she envisions a different future for the people she once protected. Jessica learns her new weapon is most powerful when she is truthful and acts honorably. Her compassion becomes healing magic. Her joyful personality becomes a golden glow that follows her everywhere and her kindness becomes a blessing that strengthens others. In battle, pure flames stream from the blade. Even learned scribes and arcanists cannot explain it. No other Ajan has ever drawn such power from a skyblade before. Now, after the discovery of a carefully concealed map to a place called the Palace in the Sky, Jessica and her friends find themselves in a race to rescue seven other Ajan weapons before Lord Dane and his vile Cryptics discover and destroy them! 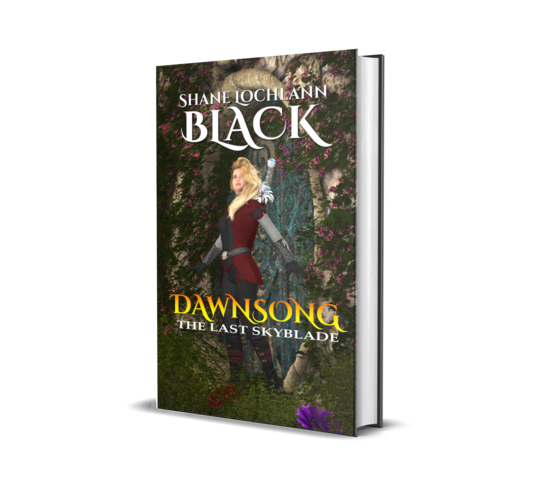 Buy Dawnsong: The Last Skyblade at the Palace in the Sky Bookstore!